The man selling them has a nearly-empty bottle of Hennessy holding them down like a paperweight. You see Nipsey shirts everywhere but nobody is selling them. 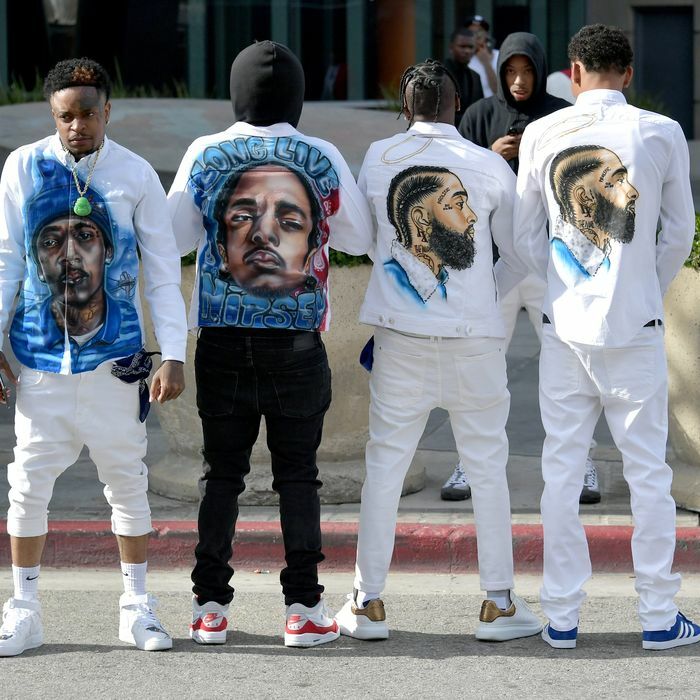 Some are just text (“RIP NIP,” his rap and government names and those dates), some have his airbrushed face, torso, and hands. You get used to seeing him depicted as an angel. 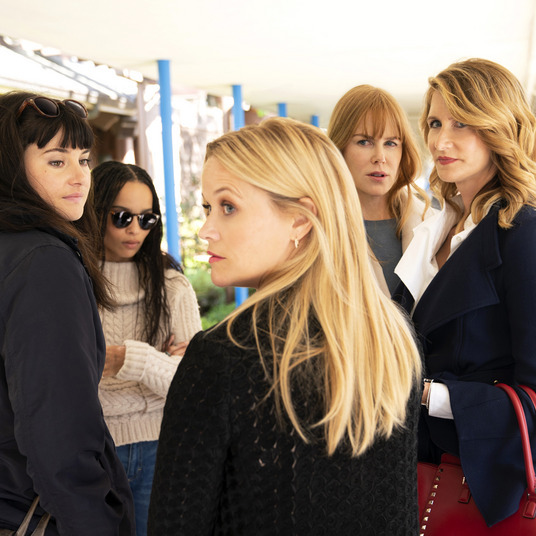 A group of young girls lean against the barricade; the backs of their shirts are waving checkered flags and the words, in script: The Marathon Continues. None of the crowd estimates will be correct. 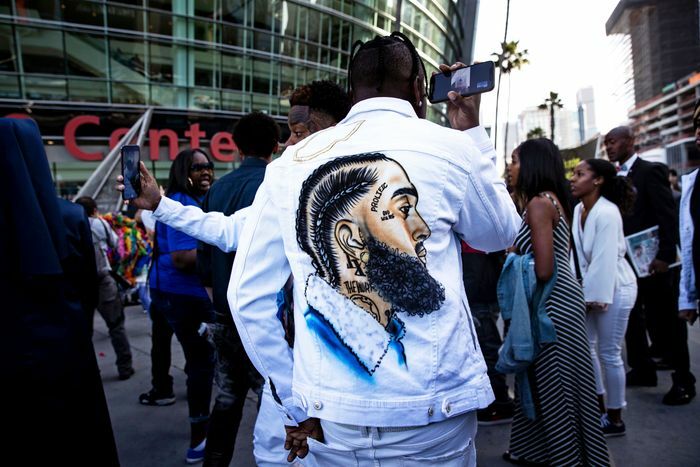 As people flock to this intersection, Nipsey Hussle’s public memorial service is going on at the Staples Center, up the 110 freeway, downtown. 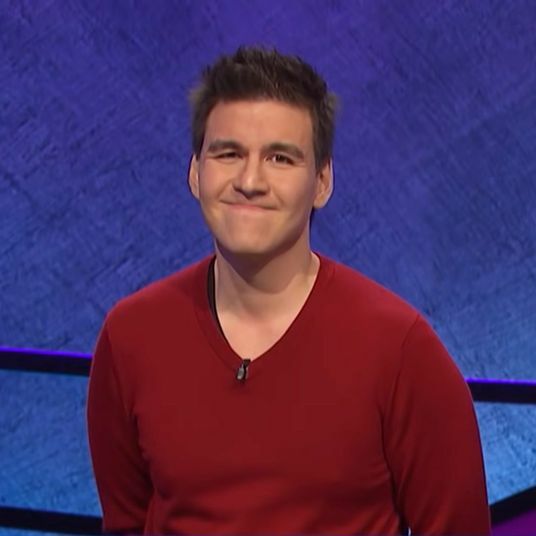 The tickets were given away for free but they were gone within minutes of being available — that’s to say, he sold out the Staples Center — and so thousands of people are pitching blue lawn chairs, craning to get good photos, catching up with old neighbors, and even grilling carne asada behind their Chevy Avalanches. 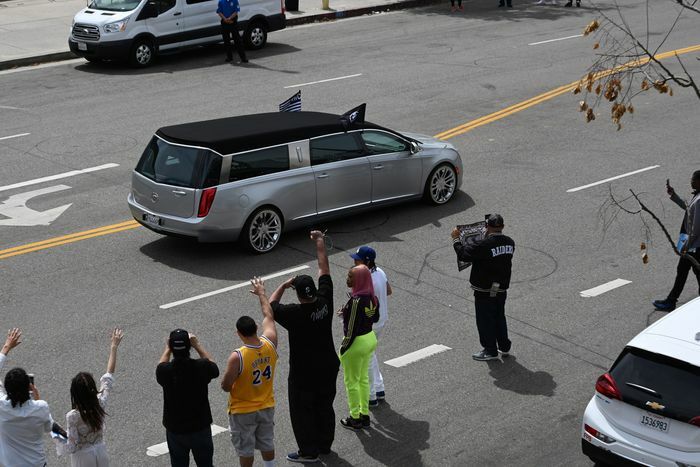 What’s happening at Staples turns out to be very moving: Speeches from Nipsey’s mother, brother, and longtime partner Lauren London are precise and gut wrenching; one from Snoop makes folks laugh and warm up. 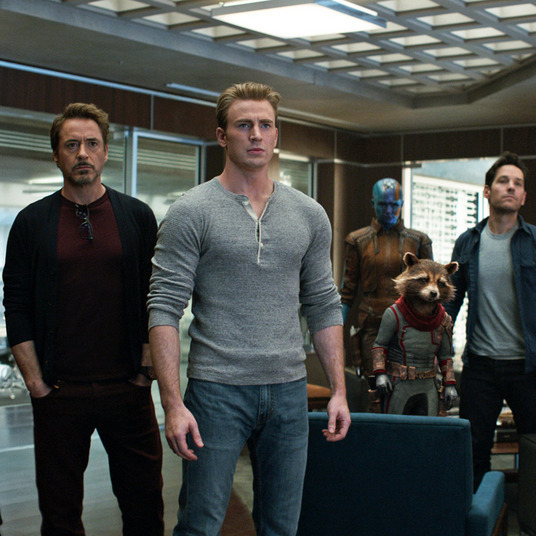 Everyone gets the gravity. But shortly after the service’s live stream begins, people here give up on watching or listening to it — reception is bad and we’re packed shoulder to shoulder. (Word does make it around that Nipsey, who once rapped that he wanted a Stevie Wonder song played at his funeral, got the actual Stevie Wonder to show up and perform.) Two men in bowties that are made to look like blue and red bandanas tied together are guarding the alleyway toward the murals, beside the Master Burger; they nod sagely at you but do not invite anybody past the bicycle racks. Folks drive neatly-painted lowriders on the far side of the street to polite cheers. Others hang off the awning of Hungry Harold’s, or hold speakers up next to the electronic lotto tickers in the window of Slauson Donut. There’s a casting call for a movie called Two Brothers (AFRICAN AMERICAN MALE 17-20 TO PLAY THE ROLE OF SLIM … ) stapled to nearly every telephone pole. 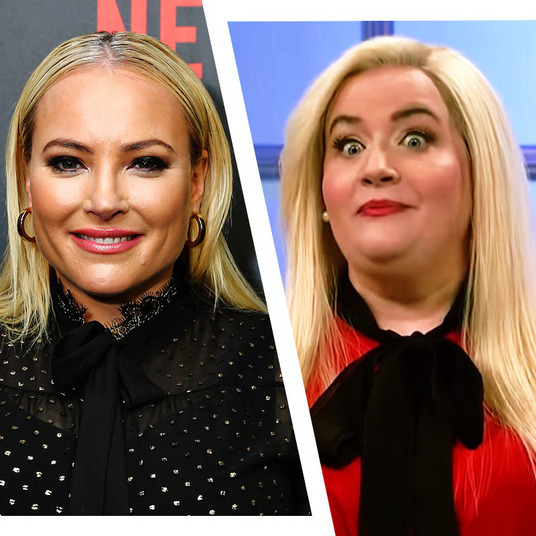 Meanwhile, on Facebook, a friend of a friend comments: “I just seen a group of bloods and a group of crips claim their, set dap each other up, and went along their way. 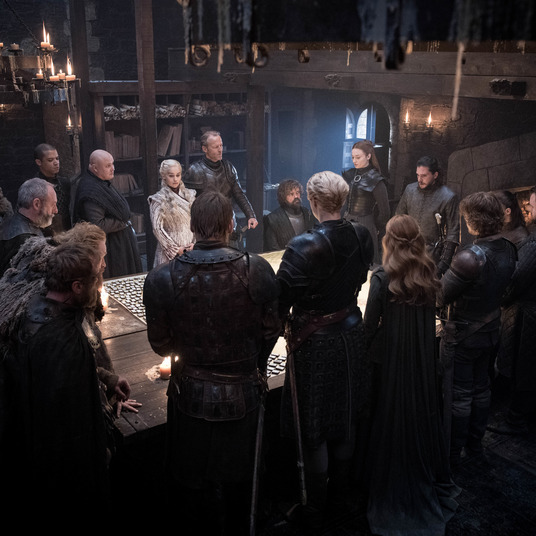 They said ‘for nip,’” which seems like the kind of convenient bow someone would tie around a tragedy, except that’s exactly what was done and exactly what was said. An old man named Dom keeps calling Nip “a good kid.” There are Eritrean flags, a nod to Nipsey’s heritage. 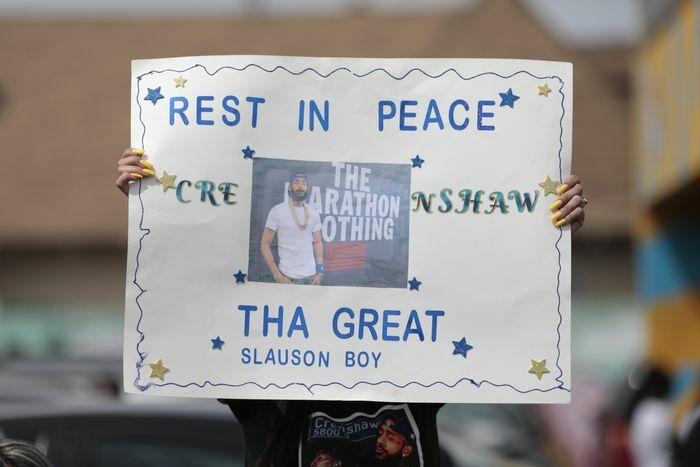 The further West you go, back down Slauson and away from The Marathon, the less dense the crowd becomes — it’s mostly those lined up along the fences, waiting for the funeral procession to bring Nipsey through before he’s laid to rest. A man in a pristine white Warriors warmup — the Baron Davis days, the old logo — hands iced teas to little girls. “Count Up That Loot” plays at deafening volume all of a sudden. The men around us laugh. It’s nice to hear Nipsey be “he” for a little longer.